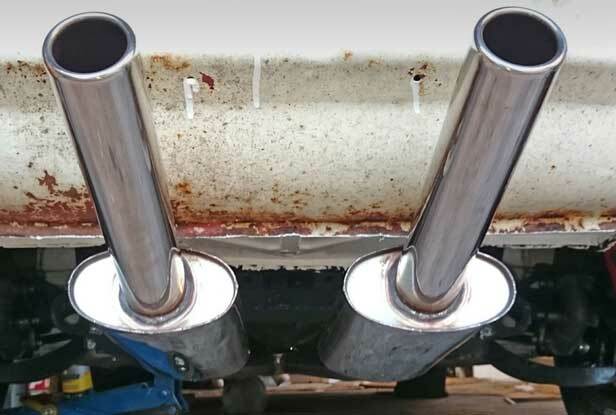 A Phoenix twin silencer stainless steel exhaust system was purchased from EBay over Christmas 2013. Finally, in January 2016 this was fitted (less rear gearbox mount) so that the car could be driven for a few yards! High quality, heavy duty Mikalor stainless steel clamps were used throughout. The installation can be seen below (fitted before the respray).